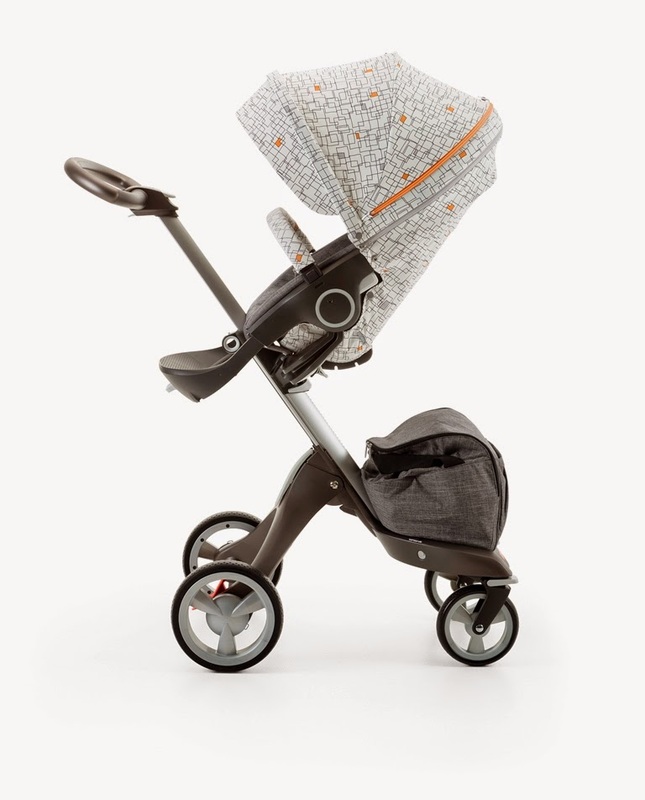 Mum of Five Staying Sane: Introducing the new season 2015 Stokke Summer Kits in Scribble Sandy Beige, Salty Blue or Faded Pink and also the gorgeous '60s inspired Grid Style kit to fit the Xplory, Crusi and Trailz. 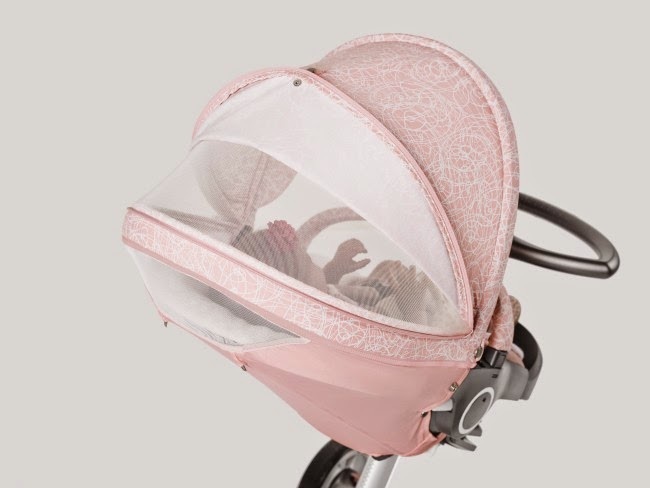 Introducing the new season 2015 Stokke Summer Kits in Scribble Sandy Beige, Salty Blue or Faded Pink and also the gorgeous '60s inspired Grid Style kit to fit the Xplory, Crusi and Trailz. Starting with the gorgeous 1960's inspired Grid style kit. 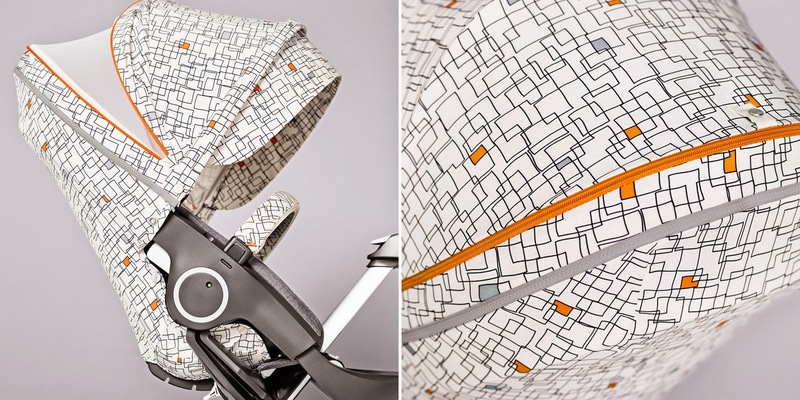 A white background with thin black lines making a grid pattern, a touch of grey and then a splash of gorgeous vibrant orange here and there across the fabric design and vibrant orange zip detailing. This is only a style kit, NOT a Summer Style kit and comes with the hood/visor, rear seat fabric and the seat rail cover. 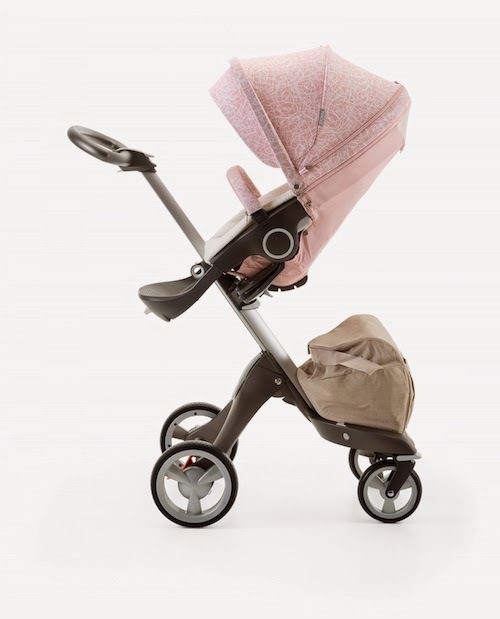 RRP is £99 and it will fit the Stokke Xplory, Crusi and Trailz. After Sundays delightfully warmish weather I was hoping that it would continue but it didn't last and yesterday was rather dismal and rainy. However, sooner rather than later the warmer weather will hopefully be here to stay and if you are a Stokke Xplory, Crusi or Trailz owner then the new Stokke 2015 Summer Style kits are definitely what you need. 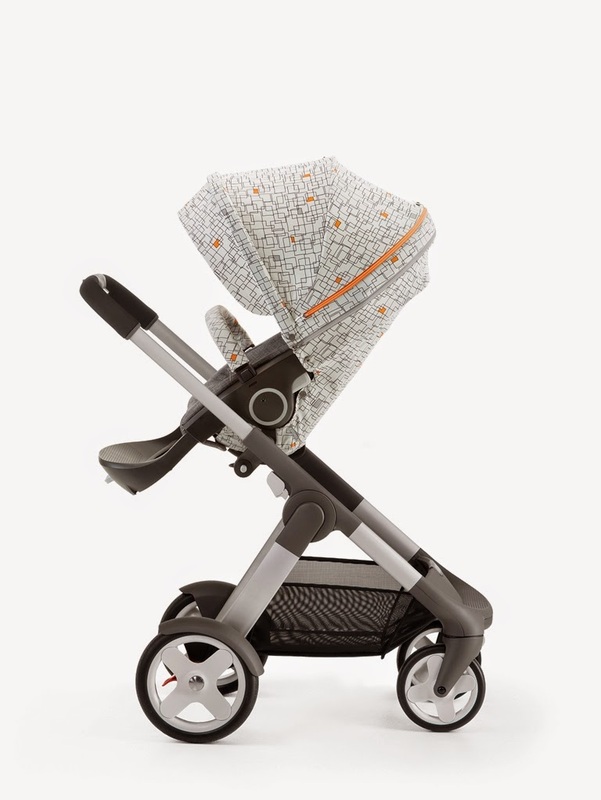 Next up is the Stokke Summer Style Kits in Scribble design. Available in Faded Pink, Sandy Beige or Salty Blue. A gorgeous trio of pastel colours with a white swirl design all over the main colour. The hood has the extra ventilation part that can be unzipped and is SPF 50 too. As mentioned above the Summer Style Kits will fit on your Stokke Xplory, Crusi or Trailz seat units. 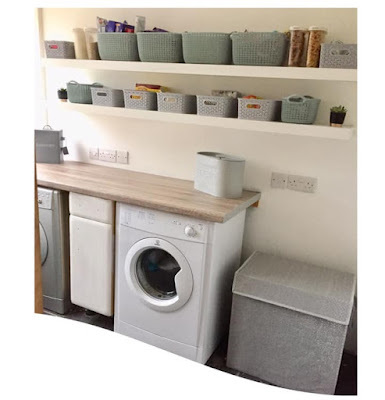 Each Style Kit includes hood, visor, rear seat textile, seat rail cover, terry towelling seat liner and protective sun sail cover as seen in the Sandy Beige picture above. RRP for each Summer style kit will be between £120-£150 but I will update on this as soon as I know a definite price.